TechYukon recently made a trip to Victoria to visit the Victoria Innovation, Advanced Technology and Entrepreneurship Council (VIATEC). That organization was of interest to us because it has a long history of engagement with start-up mentoring and business acceleration—activities that are pretty much central to TechYukon’s new mandate. Over a day and half, Chris Lane, the president of TechYukon, and Rick Steele, the Executive Director, toured VIATEC’s "Fort Tectoria" building, and met with CEO Dan Gunn and the Rob Bennett, the Program Director. They also spoke with seven start-up companies who were either engaged in or had recently completed the process of business mentoring and acceleration. From the two VIATEC officials, we gained information about the structures and best practices that have made their organization so successful. From the client companies past and present, we gained some knowledge about the programs and services that were of greatest value to them in getting their companies of the ground. This visit represents a first step in an investigation TechYukon will be involved in over the coming months, looking at our options for promoting the development and success of new and existing tech companies in Yukon. We are seeking to establish certain core programs and services that are of maximal value to the industry sector, and also fall within the scope of our capacity to deliver. We are also seeking partnerships with outside institutions (like VIATEC) to provide other programs and services that cannot reasonably be provided locally. The enthusiasm and helpfulness we encountered, from both VIATEC and their client companies, was remarkable. What we saw was an organization totally committed to its business development mission, and client companies extremely appreciative of the services on offer. Of particular interest to us was the VIATEC financial and organizational model. VIATEC, like TechYukon, is a registered not-for-profit society. It also, however, is the sole owner of a registered for-profit corporation (Tectoria), which owns and operates the Fort Tectorial building, renting space to start-ups, and providing a number of paid services, (such as access to their online job board). The income from this enterprise helps to level the peaks and valleys in the public funding available to its non-profit arm. VIATEC, of course, because of its long history in the business development sector, has a number of financial and administrative advantages unavailable to a new organization like TechYukon. 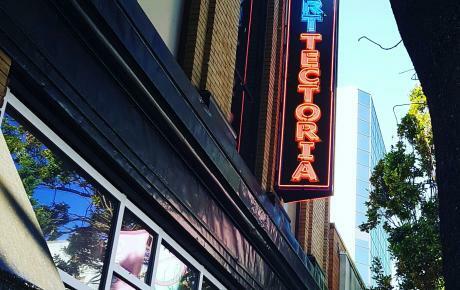 They managed over the years to accumulate enough savings to invest in the Fort Tectoria property—something we are not likely to be in a position to do for a very long time. They also function in an environment that is far more client-rich than is the case in the Yukon. They have very little problem finding companies looking to rent space from them, for instance, and have the support of some quite large and wealthy local technology companies, of a size and type not found here. Nevertheless, the idea of pairing a non-profit society, operating with public funding, and a for-profit corporation, which actively does business and generates revenues for the society, is worth investigating. Though TechYukon is very unlikely to go into the office rental business, there might be some reasonably high return business activities it could engage in to reduce its dependence on public funding. In furtherance of this train of thought, TechYukon has submitted an Expression of Interest to the Canadian Northern Economic Development Agency (CanNor), for funding assistance to conduct a pre-feasibility study to see how we might best structure ourselves, either as a simple society, a non-profit corporation, or perhaps a society/corporation hybrid along the lines of VIATEC. However and whenever all of that pans out, developing strong relations with organizations like VIATEC is a key component to TechYukon’s future as an agency committed to the development of the Yukon’s technology industry sector. Step one has just been taken. Watch this space for future steps and destinations.